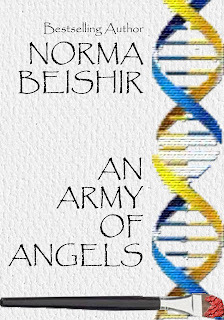 An Army Of Angels carries on with plot threads from the earlier book Chasing The Wind in this new short story by the author Norma Beishir. The first book, a novel drawing on themes of love, science fiction, religion, and dark forces, brought together two characters in a life changing journey. This short story picks up with hints and links to that earlier book, while introducing new characters in their own right. It’s meant to be the first aspect of a larger work from the author, and while the storyline has a logical conclusion, there’s room for much more to come. We first meet Alex Stewart as he deals with the aftermath of the death of his father, Joseph Sadowski, an arrogant and vindictive scientist who he’s been estranged from. He wants nothing to do with his father’s legacy, and yet while going through personal effects makes a discovery that shakes his world to its foundations: he is not a regular person, but a clone of another man. Alex goes into a tailspin of self destruction, unable to paint, burning his way through inherited money, ending up working odd jobs, living the life of a nomad for years on end. He drifts from place to place, trying to find out the truth about himself and the man he was cloned from, believing himself to be an abomination. Finally he meets Robyn Cantwell, a compassionate young woman who spends her time helping the homeless when she’s not working at animal shelters. There’s a connection between them, and Alex finds himself trying to deal with his growing feelings at the same time as he tries to keep himself at a distance. It helps to have read Chasing The Wind first, obviously. This picks up plot threads from that book and hints at more to come. The story focuses on the relationship between these two people, very different characters. Strong characterization is its bedrock. Alex is a sympathetic character from the outset. The clear estrangement he feels about his father is understandable from the glimpses we get about Joseph in flashbacks and journal entries. His father is a monster, and Alex’s reaction to the truth about his existence fits perfectly with that. He withdraws from the world, lives a ghost of a life, and his hesitation about being involved with Robyn is a logical turn of events. Alex is a tortured soul, but not because of a situation of his own making. It makes him compelling. Robyn herself is automatically sympathetic to the reader. There’s a compassionate and empathetic quality to her personality, and a lighter touch. From the way she lives her life, the reader sees her as a genuinely decent person. And her brothers (a handful in and of themselves) provide some much needed comic relief. The story has a natural pace to it, and a skilful touch in the writing. It’s somewhat condensed, but that’s merely for a short story format that comes to an end at the right spot. It deals with a tortured soul who has run away from the world, and the woman who coaxes him out of his shell. And it hints at a darker story yet to come. It leaves the reader wanting more, and I look forward to seeing where the author goes with the story of Alex and Robyn. 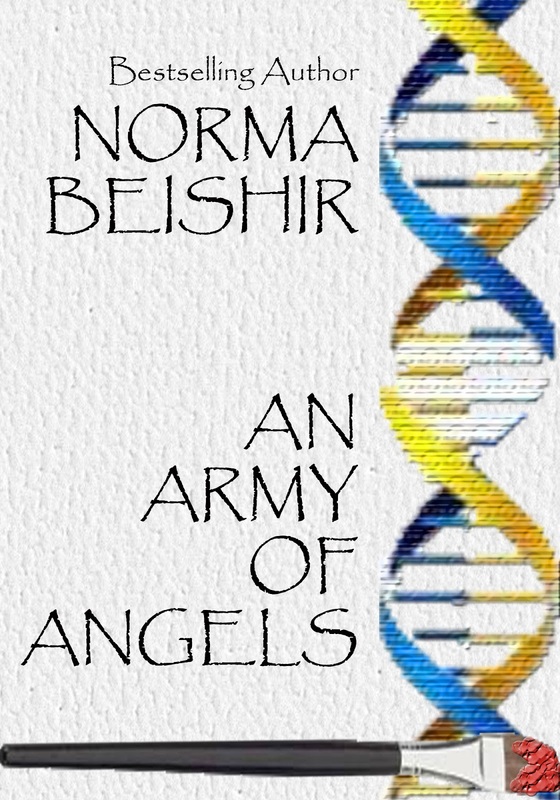 Have a look at what Norma had to say about An Army Of Angels at her Wordpress blog. And you can find the ebook through her author's pages at Amazon, and over at Smashwords. Sounds like a good read. Intriguing review William. Great review William. I'm hooked and need to get a copy of both. Thank you for yet another great review, William! I'm always thrilled by reviews from authors whose work I admire! Cheryl--An Army of Angels is still free at Smashwords today with the code I posted on my Facebook page. If you want to read Chasing the Wind, I'll send you a code for it as well. Really cool premise! Great review, William. William you always write the best reviews. Excellent review William..I think tomorrow morning (almost midnight here in Perth) I will check out both books on Amazon. @Lucy: it is a good read. Great review, William, hooked me in as a reader! Thanks for the review William. I picked up a book or two of Norma's when she was running a deal. I hope to read one soon, maybe after I finish the last book of the Wheel of Time series. Great review! Obviously there is much angst in this story as in any good read. Great review! Sounds like an interesting book. Thanks for sharing. I want very much to read this book! Thanks for another great review, William. @Christine: you'll enjoy her work. So You Want To Screw Up Crisis Management, Huh?